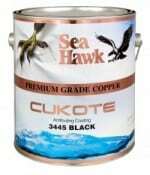 How Much Paint Do You Need For Your Boat? Below are estimates for the amount bottom paint you will need to properly cover your boat. Actual square footage and coverage may vary by boat and bottom paint. Please review the specific products specifications on each product page on our site. SEE OUR > How To Section with many helpful articles and product knowledge with related links. Swimming Pool Paint Theoretical Coverage: Length x Width X 1.7 x 2. Divide this number by 500 to get the total number of 2 gallon kits needed, or divide by 300 to get the total number of gallons needed. Brush/Roller Application: 700-725 Sq. Feet at 1 mil (25 Microns) dry: 285 Sq. Feet at recommended dry film thickness.Recommended Wet Film Thickness: 4.5-6 mils (112.5-150 Microns), Total of 2 Coats.Recommended Dry Film Thickness: 2-3 mils (50-75 Microns), Total of 2 Coats. Spray Application: 530 Sq. Feet at 1 mil (25 microns) dry film thickness; 210 SQ. Feet at recommended dry film thickness. Recommended Wet Film Thickness: 6-9 mils (150-225 Microns), Total of 2-3 Coats. Recommended Dry Film Thickness: 2-3 mils (50-75 Microns), Total of 2-3 Coats. Re-coatability: Spray applications consist of 2-3 coats applied over 1-4 hours. Exact time will vary with temperature, project size, and film thickness applied. Brush/Roller applications require at least 2 coats applied minimum of 16 hours apart. Awlgrip topcoats which have been allowed to dry more than 24 hours must be sanded before recoating. Coverage calculations are calculated for mixed base and converter, reduced 25% and are based on a theoretical transfer of efficiency of 100%. Actual coverage rate obtained will vary according to equipment choice, application techniques, part size, and application environment. Anticipated Cure Time at 77 F/ 50% R.H.: 24 hours to tape free, 3 days to light service, 14 days for full cure. Spray Application: 573 Sq. Feet at 1 mil (25 microns) dry film thickness; 230 SQ. Feet at recommended dry film thickness. Recommended Wet Film Thickness: 6-9 mils (150-225 Microns), Total of 2-3 Coats. Recommended Dry Film Thickness: 2-3 mils (50-75 Microns), Total of 2-3 Coats. Re-coatability: Spray applications consist of 2-3 coats applied over 1-4 hours. Exact time will vary with temperature, project size, and film thickness applied. Brush/Roller applications require at least 2 coats applied minimum of 16 hours apart. AwlCraft 2000 topcoats which have been allowed to dry more than 24 hours must be sanded before recoating. Coverage calculations are calculated for mixed base and converter, reduced 25% and are based on a theoretical transfer of efficiency of 100%. Actual coverage rate obtained will vary according to equipment choice, application techniques, part size, and application environment. Anticipated Cure Time at 77 F/ 50% R.H.: 24 hours to tape free, 3 days to light service, 14 days for full cure. Related Article-> Awlgrip Vs. Awlcraft 2000 – What are the Differences?